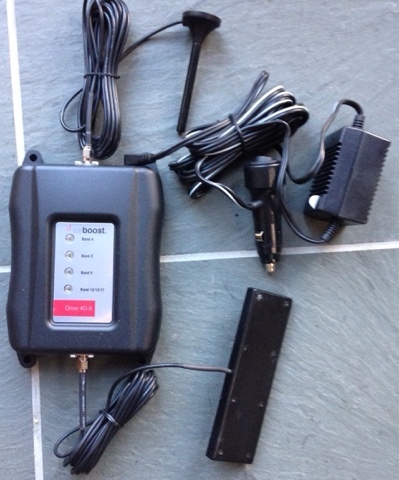 During my 2015 travels I brought with me my old Wilson cell phone amplifier that have used for years in New England, but it didn't work in the southwest due to carriers using different frequencies. This made it difficult to pull in fringe signals and many times I would have voice coverage without data. 4G LTE data works on frequencies that my old amplifier didn't cover. 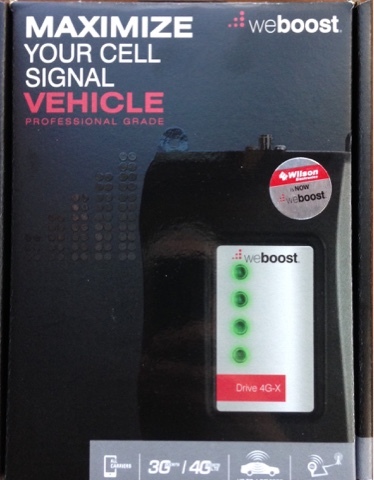 Since I go off road on federal land and there are many secondary roads with spotty service I decided to buy a new all band all carrier Wilson cell phone amplifier for my 2016 travels. The unit is not cheap at $450+ but since I travel so much that it will be worth it in the long run. This maximum coverage unit comes with a mini antenna (4") that is designed for higher gain for data than the 12" center loaded antenna. The center loaded antenna is stronger for voice. For me I will use the data tuned antenna on my trip as I use data (Internet) more than voice. I will evaluate this product during my 2016 travels and hopefully give me better coverage in case of an emergency.